A member of the Commission of Commissioners of the High Electoral Commission, on Wednesday, that the parliamentary elections that took place earlier this week, “invalid”, referring to the “fraud” operations took place in a number of provinces. A source familiar with the Commission said that “one of the members of the Commission of Commissioners of the High Electoral Commission revealed the facts of rigging the rigging of elections and violations in a number of provinces,” explaining that “the Commission lost control after the outbreak of differences within it because of the disclosure of this Commissioner of counterfeiting amid threats of mutual” . 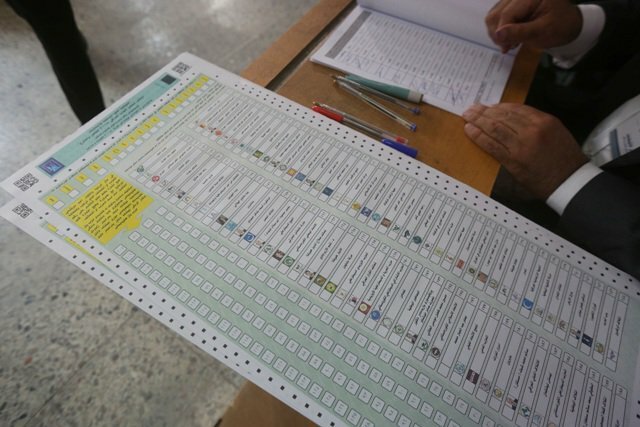 The Electoral Commission announced on Saturday (May 12, 2018) the “success” of the voting process that took place in Iraq with a participation rate of 44.52, in the first elections in Iraq after the victory over the organization “Daash” and the fourth election since the fall of the former regime to choose an Iraqi parliament new.